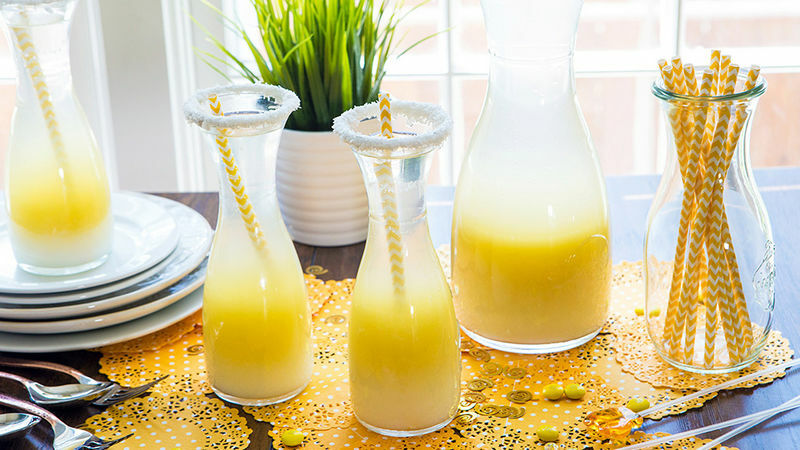 In a large pitcher, pour pineapple juice, then slowly pour the pina colada mixer down the side of the pitcher. It will slide to the bottom of the drink. Top with champagne. Rim glasses with a bit of honey, then dip in coconut. Stir punch before serving in coconut-rimmed glasses. Enjoy! For a family-friendly version, substitute ginger ale for champagne.